The NorBays, the Bohemian's annual celebration of local music and all-around good time, is coming to Sebastopol's HopMonk on Aug. 16. 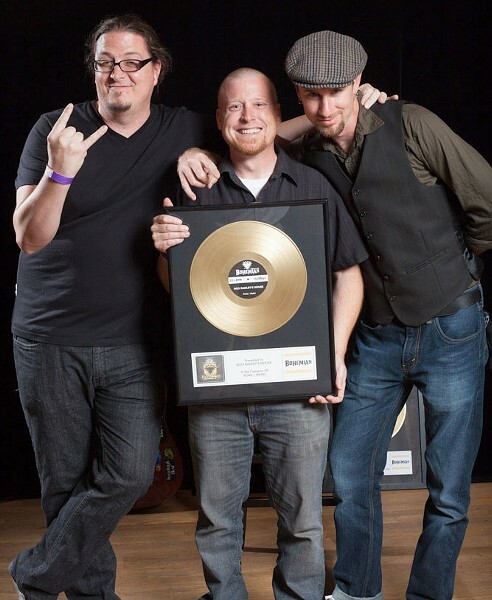 We'll be handing out gold record awards for the best bands in nine different categories of music, honoring the top talents in Sonoma, Marin and Napa counties. We're also returning with another 24-Hour Band Contest. Here's how it works. Preliminary write-in voting for the NorBays is live now on bohemian.com. Tell us your favorite bands in genres ranging from folk to world to rock-and-roll. If you're a band, tell your fans. If you're a fan, tell your friends. The bands with the most write-ins go on to the final voting round on July 2. Voting ends July 23. The winners will be announced and awarded at the show. As before, the 24-Hour Band Contest is taking sign-ups from all skill levels. Tell us who you are and what you play. On Aug. 15, we'll pick names at random to form bands made up of complete strangers. You then have one earthly rotation to come up with two original tunes and perform them at the show the next night at the NorBays. Sign up now at bohemian.com and keep rockin' in the free world. Click here to vote for your favorite band and here sign up for the 24-Hour Band contest. The 2014 North Bay Music Awards and 24-Hour Band Show happens Saturday, Aug. 16, at HopMonk Sebastopol, 230 Petaluma Ave., Sebastopol. $10 (all ages).